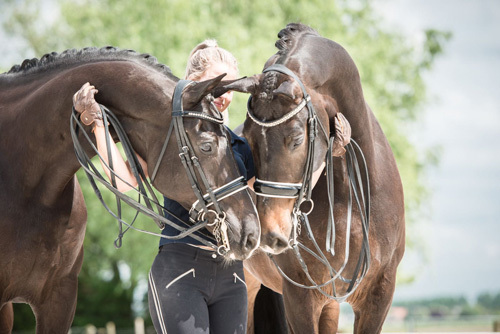 SPECIAL OFFER for RIDERS ALL OVER THE WORLD: TRAINING IN OUR BARN WITH OUR SCHOOLMASTERS. Would you like to improove your ridingskills? Then it is time to email me with your desires as we have a new programme to train with our schoolmasters. Would you like to improove your feel for �halfpasses, flying changes , pirouiettes, tempis, piaffe or passage then Winterhorses is the place to be. We offer this programme for people at all levels. So when you have just started to ride do not think this is not the right moment as the right moment is ALWAYS. It does not matter at wich fase you are in as long as you want to dedicate yourselve to train and are willing to learn . We offer a nice accomodation to train in and experienced dressagehorses at all levels. I am looking forward to start training with you!! !